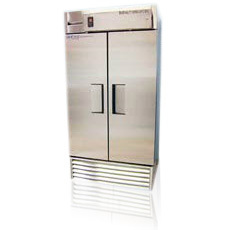 BioCold's laboratory incubators offer exceptional temperature and humidity control while providing reliable and efficient solutions for a variety of stability testing applications. Microprocessor-based temperature controls offer straight-line control at ±0.3°C. All incubators come standard with a rear wall plenum for positive airflow and uniformity throughout the chamber. Humidity control options are also available. BioCold recommends its Drosophila Incubator line for drosophila rearing or other corrosive incubator applications. Glass door models not recommended for high humidity applications.